Shastri (B.A Hon.) 1978 from Rashtriya Sanskrit Samsthan, New Delhi. Principal of G.S. College of Yoga and Cultural synthesis,, Kaivalyadhama, Lonavla for more than 5 Years (March 2013 to Oct.20, 2018). “A Critical Study and Editing of Bhagavad-bhakti-mahatmyam” has been published by Rashtriya Sanskrit Sansthan (Deemed University) New Delhi and it was released on August 2, 2012 in the Programme of Sanskrit Day organized by Rashtriya Sanskrit Sansthan (Deemed University) New Delhi at National Museum. Anjaneya – Chintanam: Co-Editor. Paldi, Ahmedabad, (India), Jagad Guru Shri Ramanaandacharyapeetha, Koshalendra Math, 1986. Yoga Kosha(Enlarged edition): Kaivalyadhama S. M. Y. M. Samiti, Lonavla (India) 1991. Shiva Samhita: A critical edition (Hindi), Kaivalyadhama, Lonavla, 1999. Yoga Concordence(Vol.1-IV) based on 26 Hatha Texts, (Vol.V-VI) based on 20 Yogopanisads, (Vol.VII) based on Patanjala Yoga and its Sanskrit Commentaries Kaivalyadhama, Lonavla, 2001-2008. Hatha Pradipika Jyostna: A critical edition(Hindi), Kaivalyadhama, Lonavla,2002. Descriptive Catalogue of Yoga Manuscripts(Updated) Kaivalyadhama,Lonavla, 2005. Vasishita Samhita:A critical edition (updated), Kaivalyadhama, Lonavla, 2005. Joga Pradipyaka:A critical edition, Kaivalyadhama, Lonavla, 2006. Yoga Karikaof Hariharananda Aranya (English Translation), Kaivalyadhama, Lonavla, 2008. Shiva Samhita(A Critical Edition- English), Kaivalyadhama, Lonavla, 2009. Jyotsna(Critical Edition-English) Kaivalyadhama, Lonavla, Jan.. 2012. Shivasvarodayah(Critical Edition-English) Kaivalyadhama, Lonavla, Dec.2015. Around 50 Research Papers are published in different Research Journals, Souvenirs Proceedings etc.. Worked as Lecturer at Shri Ranbir Kendriya Sanskrit Vidyapeetha Jammu, for the subject of Samkhya & Yoga during the Academic Sessions 1980-81&1981-82. Foundation of Yogato Diploma in Yoga Theray. Sanskrit& Hatha Yoga to Yoga & Vedanta Course. TalksDelivered: Delivered innumerable talks on Yoga and allied subjects on the invitation as Key Note Speaker/ Resource Person/ Visiting Professor in various Universities and Institutes in India. Foreign Visits – Organized Yoga Workshops and delivered Lectures on invitation from different Yoga Associations – Spain & Italy(Oct. 28 to Dec.3, 2001) Korea & Japan, (April 4-24, 2002) , Geneva, Switzerland (Jan.19 to April 4, 2007), Portugal ( June 22-28,2012) , Italy ( April 24-28,2013) , Bulgaria (2013, 2014 & 2016), Hungary (2016) and Germany. (2016), Ethiopia (2016). OrganizedRe-orientation Programme in Yoga for S.M. & H. personnel. Organized various Yoga workshops/Camps for the executives of various companies such as Dabhol project, H.D.F.C and L &T on Stress management through Yoga. Moderator & Panel member in panel discussion sessions in 3rd, 4th, 5th, 6th , 7th & 8th International Conferences held at Kaivalyadhama, Lonavla. Chairperson of various committees, Souvenir Committee and Member of Organizing, Programme and Finance) in organizing 2nd, 3rd ,4th, 5th, 6th,7th and 8th International Conferences (1988, 1999, 2002, 2006) and Chairperson, Programme Committee 6th ,7th & 8th International conference (2009, 2012 & 2015) held at Kaivalyadhama, Lonavla. Member, Governing Body and a Life Member of Board of Trustees of Kaivalyadhama, S.M.Y.M, Samiti, Lonavla. Member of Trustees-Provident Fund, Kaivalyadhama S.M.Y.M, Samiti, Lonavla. Member of Local Managing & Advisory Committees of the Arts & Commerce College, Lonavla. Member of Advisory Board(working group) , Traditional Knowledge Digital Library (TKDL) Project in Yoga, AYUSH Deptt., Govt. of India, Ministry of Health & Family Welfare, New Delhi. Chairman/Member, Board of Studies in Yoga for various Universities/Institutions- Karnataka University Dharwad, Sagar University, Jammu University and Kavikulkalidasa University Nagpur, and Morarji Desai National Institute of Yoga, New Delhi. In-charge LibraryLooked after the administrative works of centralized Institutional Library (March 1996 to Feb. 2013). Examiner for Ph.D. M.A (Yoga), P.G.D.Y.N., D.Y.N, D.Y Ed, B.A.in Yoga and Methods of Nature Cure treatment for various Universities Lucknow, Jabalpur, Indore, Ayurvedic University Jamnagar, Riva, Sagar, Pune, Karnataka University Dharwad, Mangalore, and Kavikulkalidasa University Nagpur.etc. MDNIY New Delhi, Jammu and G.S.College of Yoga & C.S., Kaivalyadhama. Lonavla. 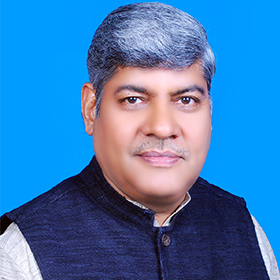 He is a member of Academic Council of Kavikulaguru Kalidas Sanskrit University, Ramtek. Nagpur, Maharashtra. He was a part and parcel of Govt. of India’s delegation to attend Intergovernmental UNESCO meet which was held on November 28-02 December 2016 at Addis Ababa, Ethiopia when Yoga was accepted as Intangible Cultural Heritage. At present also working as an Expert on the recommendations of AYUSH Ministry, Govt.of India for World Health Organization (WHO) in drafting a Bench Marks for Yoga Training.